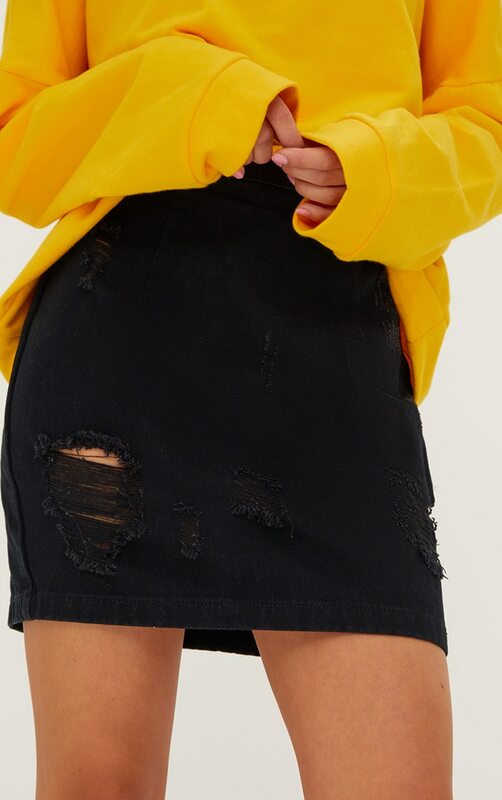 A serious staple piece this season, this mini denim skirt is perfect for all occasions. 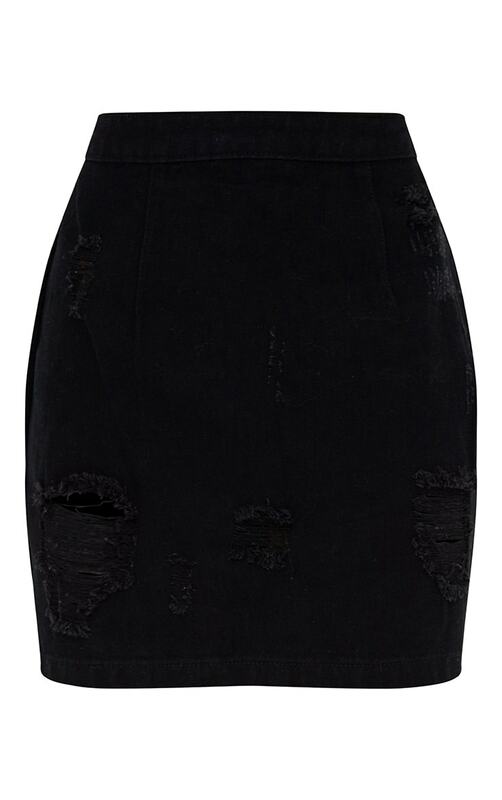 With a distressed feel and a cheeky open thigh design, style this up or down and earn those style points. Model Height - 5 ft 7"